Charlie Munford at his sausage making business in Springfield, Louisiana. 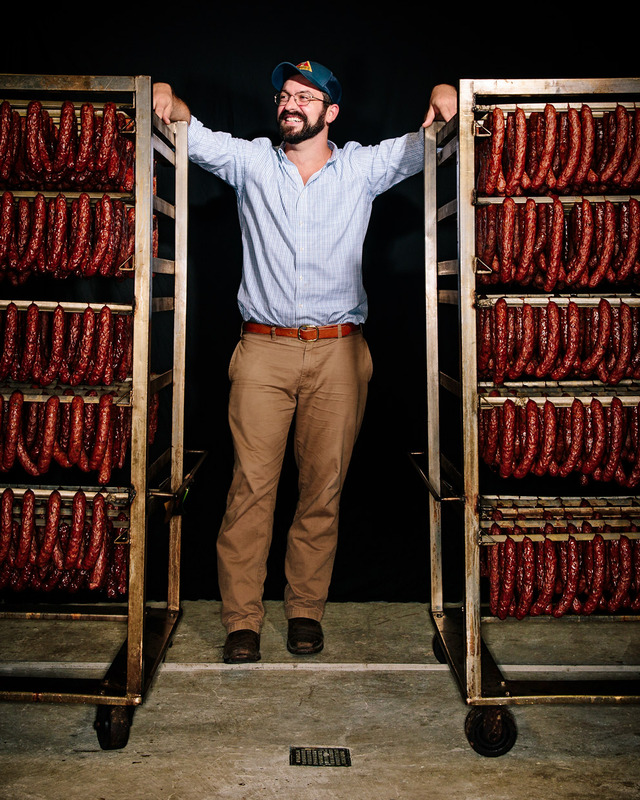 Munford, a Yale graduate, specializes in a smoked pork and wild boar sausage utilizing feral nuisance animals. For Yale University.